North Idaho Supplemental Tryout Dates Announced! 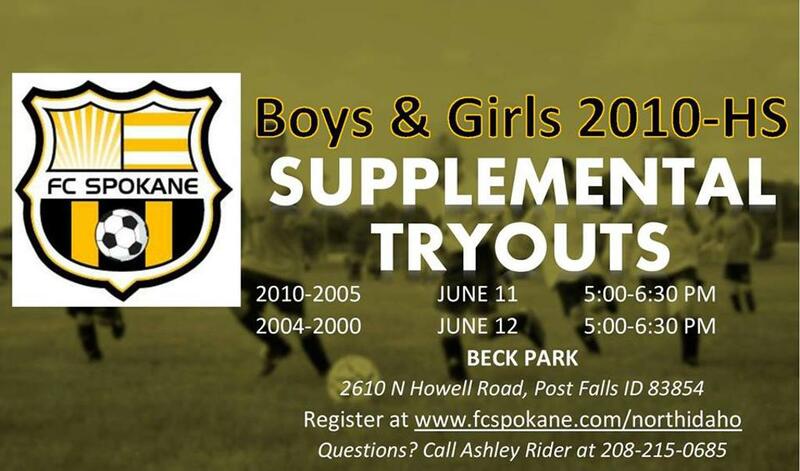 Did you miss tryouts for the FC Spokane North Idaho branch and want another option for your athlete? Join us for a supplemental tryout on June 11 & 12 in Post Falls at Beck Park. Give our North Idaho rep/coach Ashley Rider a call at 208-215-0685 if you have any questions about the league, team numbers, tryout information, etc. We hope to see you there!